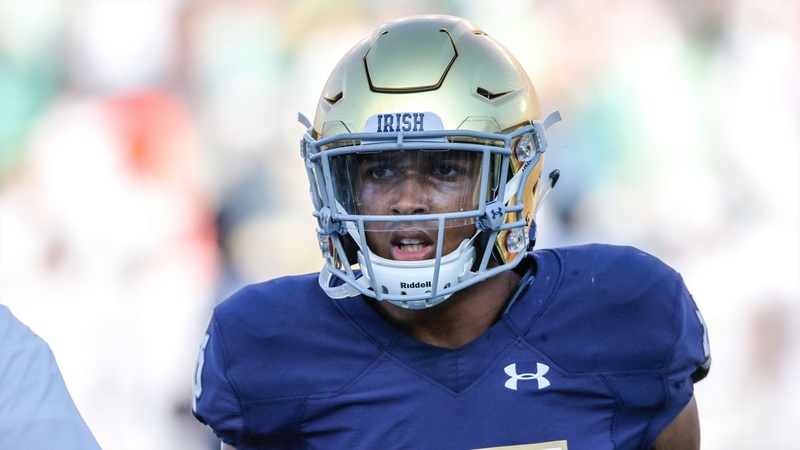 NFL.com’s Daniel Jeremiah released his Top 50 NFL Draft prospects on Tuesday morning as the Senior Bowl kicks off in Mobile, Ala.
Notre Dame was well represented as cornerback Julian Love and defensive lineman Jerry Tilley made the list. Love, a consensus All-American, checked in at No. 45 after he recorded 63 tackles, 3.0 tackles for loss, one interception and 16 pass deflections in 2018. Tillery, who returned to school for his senior season, comes in at No. 46 on Jeremiah’s list. The 6-foot-6, 305-pounder recorded 28 tackles, 8.5 tackles for loss and 7.0 sacks in the fall.